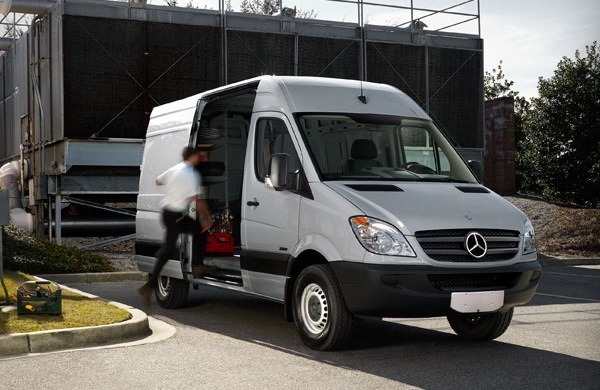 Businesses need a reliable vehicle to mobilize the operation, and the 2015 Mercedes-Benz Sprinter Cargo Van is ready and equipped for all of your toughest jobs. With plenty of room in the back and the engineering of Mercedes-Benz performance, there’s no better cargo van on the market to take your company further. Walter's Mercedes-Benz of Riverside, our trusted Mercedes-Benz Sprinter dealer serving Corona, is a great location to find the 2015 Mercedes-Benz Sprinter Cargo Van for all of your transport needs. Cargo transport comes easy with a 2-Stage Turbocharged Diesel Engine, combining efficient construction with 265 lb.-ft. of torque for stunning towing power. 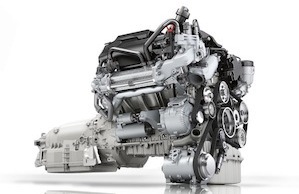 The 7G-TRONIC Transmission also contributes to the 5,508-lb. max payload, all with smooth performance and controlled driving dynamics.Of course, any business will appreciate the impact of high efficiency on the bottom line, and BlueEFFICIENCY® increases fuel economy by up to 18% versus last year’s model. The Cargo Van features an unmistakable Mercedes-Benz grille, complementing the overall profile for a bold but clean look. The large side panels are also excellent for customization with your business logo or tagline, offering a professional look to give your business an impression that lasts. A test drive and walkthrough at our Corona Mercedes-Benz Sprinter dealer can get you a better picture, so you can plan out your perfect match. Your business will find many ways to make the most out of 530 cu. 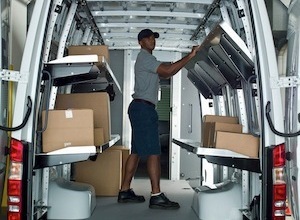 ft. of cargo space, especially with near vertical walls to allow for plenty of “upfitting” to customize the cargo hold. This includes shelving units and locking boxes, all designed to keep your cargo secure throughout your travels.This attention to the cargo hold didn’t distract us from designing a luxurious cockpit however, with Mercedes-Benz comfort and convenience stamped all over this passenger cabin. With a 5.8″ display screen for entertainment and navigation, you can be sure of the most up-to-date technology for your working needs as well. From protect ting you cargo to protecting your crew, Mercedes-Benz was sure to include the latest in safety technology and precautions to keep you vehicle out of harm’s way. Crosswind Assist, Blind Spot Assist and Lane Keeping Assist systems are all in place to keep your vehicle stable, so you can rest easy whenever your cargo’s on the road. For more information on the upcoming 2015 Mercedes-Benz Sprinter Cargo Van at Walter's Mercedes-Benz of Riverside, please contact our Orange County Mercedes-Benz Sprinter dealer by calling 888-294-6772!